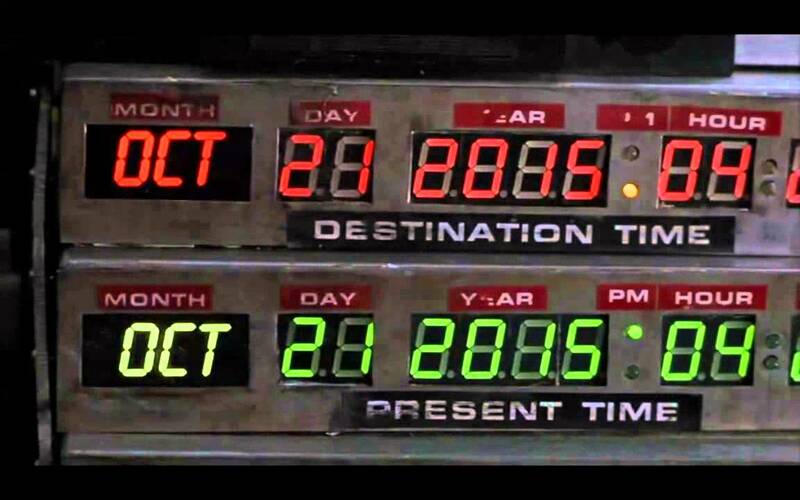 Among the many things that Back To The Future Part II accurately foresaw for 2015, the Cubs are a lock to win the World Series, and everyone can’t stop talking about goddamn hoverboards. As we approach the date Robert Zemeckis’ movie eerily predicted would happen, recent years have seen all manner of hoverboard news, albeit mostly in the form of useless replicas and aggravating fake-outs. But now a California couple has created a new way to get your hoverboard excitement up, approximately 1 inch off the ground. Jill and Greg Henderson’s Hendo company has created what it claims to be the “first REAL hoverboard,” using hover technology it hopes to farm out to other developers by next summer. Unlike previous hoverboards, the disappointment it creates is not total: The prototype really does hover off the ground, and it is shaped like a board, as seen in the video below. However, there are the usual caveats—beginning with the fact that this hoverboard only raises you “about an inch,” an experience one test subject for GigaOM likened to “standing on a giant air hockey puck.” Another writer for Engadget also said that steering is difficult, and that it mostly just “tends to drift aimlessly.” And still another reviewer pointed out that those boards don’t work on water, unless you got POWER. He was unnecessarily rude about it. There’s also the small, yet crucial detail that those boards only work on a non-ferrous metal surface—meaning you won’t be able to ride it anywhere until the streets and sidewalks are finally paved with copper and aluminum. This is an important factor to consider both when thinking of buying one of these, and in upcoming midterm elections. Still, Hendo’s hover technology could prove useful in the hands of, if not the skate gangs of the future, then other developers. Hendo has launched a Kickstarter page (which takes pains not to mention a certain movie they might be infringing upon) seeking $250,000 for further production, a goal it’s already nearly reached. Backers who pitch in $299 and above will get their own Whitebox Developer Kit containing hover engines and “enough surface to hover it on,” which they can then experiment with—and possibly perfect—on their own. 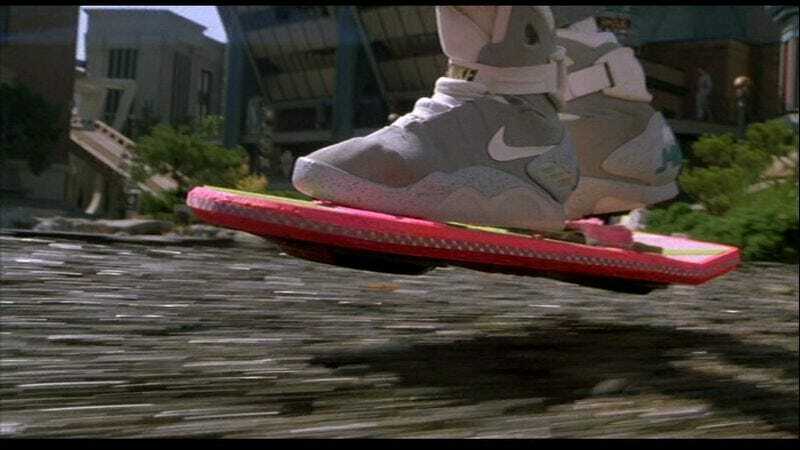 And for those who just want a goddamn hoverboard already, you can buy one of the 10 that have been produced so far for just $10,000, to be delivered on Oct. 21, 2015—the date Marty McFly arrives in the future. “Smile widely as you glide past scores of envious faces,” the campaign page promises of that long dreamed-of day. Or at least just sort of float there, briefly content that you don’t have to think about getting a goddamn hoverboard anymore. Now you can think about getting a goddamn self-adjusting/self-drying jacket.